A light mist hangs over Metlako Falls on a cool Spring morning. Metlako Falls is a waterfall on Eagle Creek in the Columbia River Gorge National Scenic Area. 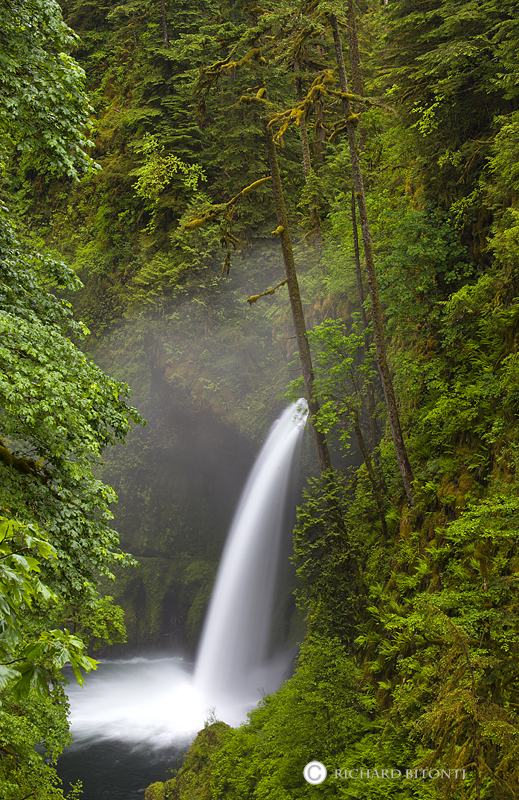 The waterfall was discovered and named by local indian tribe in 1915 after Metlako, the Indian godess of salmon, likely because it is the upstream limit for salmon spawning in the Eagle Creek drainage. Photo © copyright by Richard Bitonti.